Russia Set To Redefine Treason, Sparking Fears The current law says treason is spying or helping a foreign state to harm Russia's national security. The new definition would include consulting for or advising foreign countries or organizations. Opponents say the language is so vague that it could potentially be used to punish anyone who has contacts with foreigners. Russian President Vladimir Putin is widely expected to sign a parliamentary bill that expands the definition of high treason. Critics say the definition is overly broad and would give the government sweeping powers to crack down on opponents. Russia's parliament has approved an expanded legal definition of high treason, prompting accusations that President Vladimir Putin's government wants to further crack down on opponents. Supporters say the proposed changes bring Russia's law up-to-date and will help the country's security service counter modern forms of spying and interference by foreign governments. Russia's current law on treason makes it illegal to steal state secrets or to help a foreign government in some way that could harm Russia's security. The proposed law expands that definition to include "giving financial, technical, consulting or other help" to foreign countries or organizations. And it adds nongovernmental organizations and international groups to the list of potentially treasonous contacts. The measure sailed through both houses of Russia's parliament, which is dominated by Putin's United Russia party, despite a storm of protest from opposition lawmakers such as Ilya Ponomaryov. 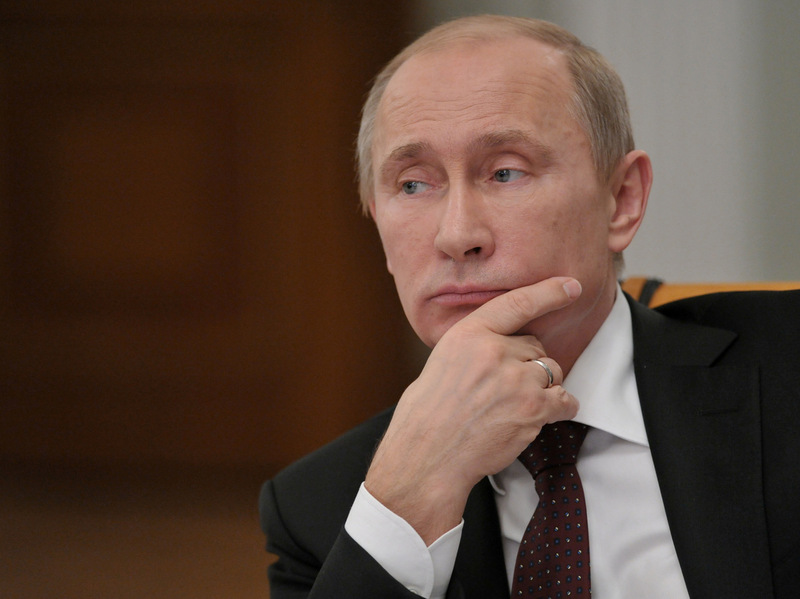 The bill will become law if Putin signs it, which he is widely expected to do. Ponomaryov, a deputy from the party A Just Russia, called the legislation a step in the wrong direction — a move that would give the Federal Security Service virtual blanket authority to investigate and prosecute dissenting voices. Supporters of the new law include Igor Korotchenko, a national security analyst and chairman of the public advisory council to Russia's Ministry of Defense. Korotchenko has high praise for the American FBI, especially for its success in uncovering Russian spies such as Robert Hanson and Anna Chapman. He says the effectiveness of America's intelligence agencies was further enhanced by the powers they were given after the 9/11 attacks. Korotchenko says he simply wants Russia's Federal Security Service to have the same broad powers as its American counterpart. But critics say it's not the powers but the lack of specifics that make the measure dangerous. "The interesting thing about this law is that you don't need to actually implement it or have people arrested because of the new law. You just need to pass the law and people will be more cautious," says Andrei Soldatov, the editor of Agentura, an online watchdog journal about the Russian security services. Soldatov says he's already seen his colleagues — security experts and Russian journalists — becoming more cautious about speaking with or making contacts with foreigners. He points to a "series" of new laws that he says have had a chilling effect on critics of the government. They include a law passed this summer that requires groups that receive money from foreign countries to register as "foreign agents," a term that has profoundly negative implications in Russia — almost amounting to "spy." The proposed changes in the treason law have drawn sharp criticism from rights groups, such as Human Rights Watch, and from the European Union. Catherine Ashton, the EU's foreign policy chief, said the measure appears designed to reduce the scope for civil society in Russia. She noted that Russians who have contact with foreigners could face up to 20 years in prison.